passions; storytelling and craft. As a designer, she believes in a strong, modern aesthetic that draws upon her Nordic roots and sensibilities. 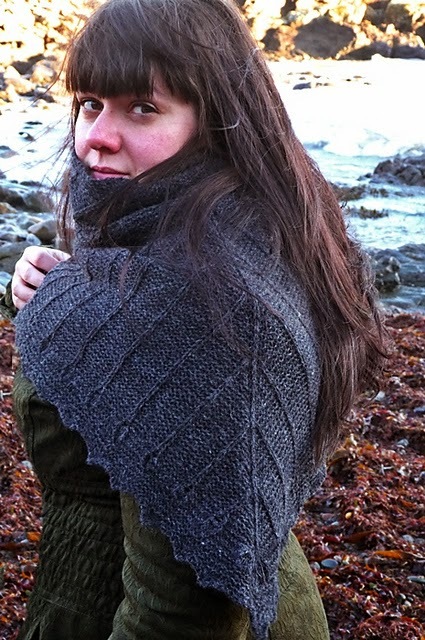 Karie's impressive portfolio includes Rowan Yarns, Susan Crawford Vintage, and major UK knitting publications. She teaches regularly at select UK yarn shows and shops, and frequently lends her expertise to museums, art galleries, and other cultural institutions. Karie has just finished work on the "Doggerland" collection - a collection of accessories inspired by archaeology, submerged landscapes, and art. 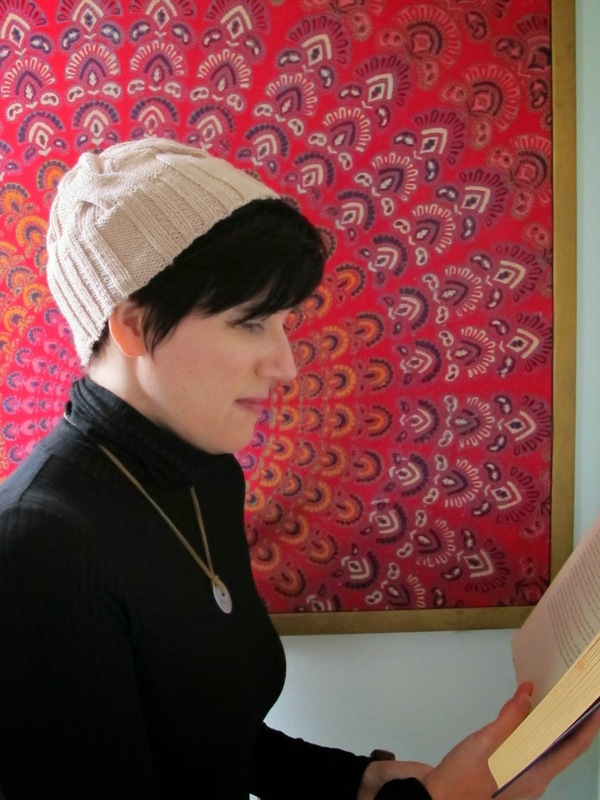 You can learn more about Karie and her work on her website, Ravelry, and Twitter. 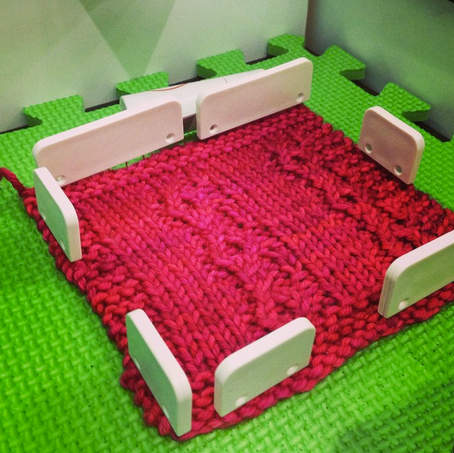 KP: How long have you been knitting, and how did you get started designing? 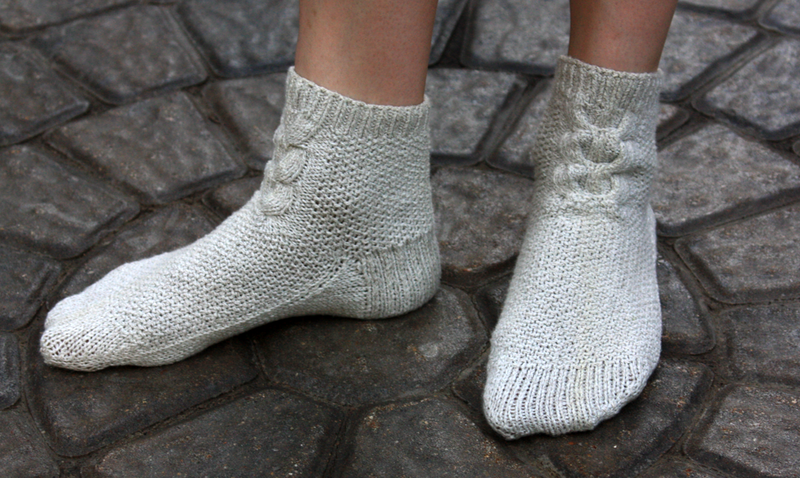 KW: I was taught to knit by my great-grandmother when I was five or six years old. I grew up in rural Scandinavia – mine was the local arty family. Everybody was creative in one way or another. We never had much money, but there was a steady supply of handmade garments, knitted jumpers and interesting paintings. Of course my family still obsessed over football results and pop music, but there was a definite and pervasive sense of self-expression and creative exploration. I learned to knit, crochet and sew as a very young girl and I have never really stopped wanting to make stuff. 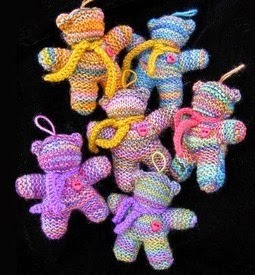 I got into designing when I worked for a yarn company and they needed a quick project to sell some leftover beads. My pattern did really, really well for them. Then in 2011 an indie dyer friend was launching a new yarn line at a prestigious London event and pressured me into doing my first self-published design. And that pattern did really well too. I began thinking that maybe I should look at doing more design work and now I'm a full-time self-employed knitting designer. It's amazing. KP: Where do you get inspiration? What your design process? KW: Inspiration is all around if you look. It’s possible to find inspiration in the most unlikely places. I really love a specific pedestrian footpath over the motorway here in Glasgow – its combination of colour and form is extraordinary. I also love Pinterest as I can create moodboards on all kinds of topics: colours, textures, themes. I keep notebooks with colour swatches and design ideas – I take a notebook with me wherever I go. There is a definite Scandinavian aesthetic and it is hugely important to me both as a designer and as a crafter: it involves a controlled palette, it is fairly minimalist, and it is decidedly non-fussy. I’m a big fan of clean lines and I can spend a lot of time thinking about the right shade of off-white! But there is also the whole Scandinavian love of story-telling and using craft to tell those stories. I looked at an old photo album the other day and I had to laugh when I saw all the amazing jumpers kids were wearing to school when I was young. 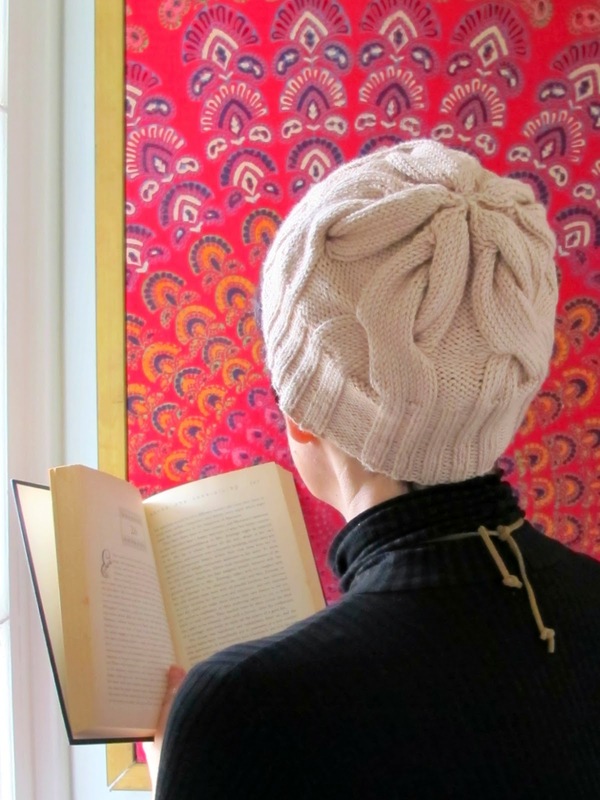 There is a lot of continuity to Scandinavian knitting: it is traditional but it is a living and breathing tradition. It’s on the high street as much as it’s in a textile museum. KP: Of all your designs, which is your favorite? KW: I always say that my favourite design is the one I have just finished! But there are designs that have huge Vedbaek Shawl which has resonated with knitters around the world since the moment I released it. I also recently released my first garment designs and I cannot wait for the samples to return so I can wear them myself! 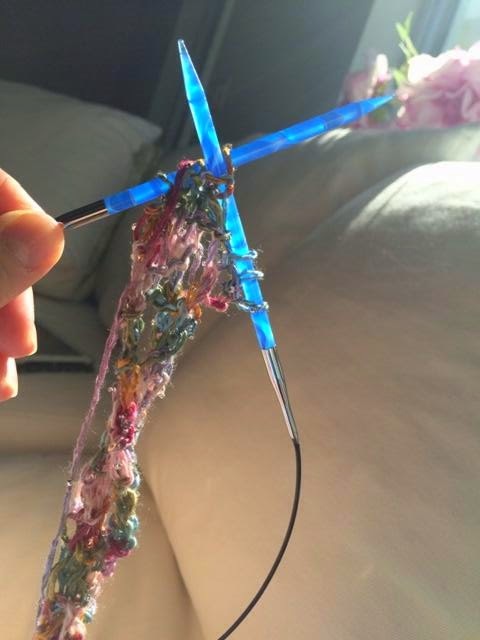 KP: Do you have any knitting horror stories/mishaps? KW: Constantly. I rip out so much you wouldn't believe it. Without mistakes I wouldn't learn a thing, so I embrace all my crazy mishaps. The funniest one, though, was one time I was teaching a class on lace blocking and I was urging the students to really block their swatches hard. Then I heard a gasp of horror from my students, I looked down and my own swatch had snapped because I had pulled it too hard. Without missing a beat I went "and there you have a prime example of what not to do!" 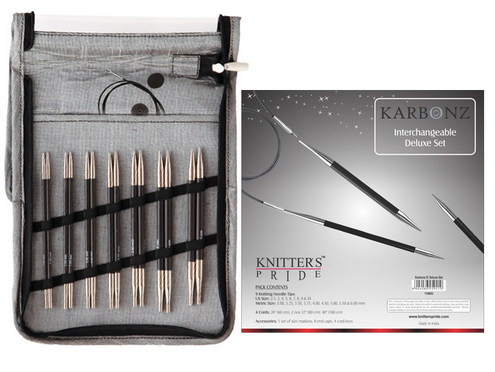 Congratulations to Jennifer Jipping, you're our lucky winner of a Karbonz Deluxe Interchangeable Needle Set! We'll be in touch to arrange delivery of your prize. Thank you to everyone who participated, and we wish you a warm and happy holiday season! No matter how well you plan your holiday crafting, there is sure to always be some unexpected gifting emergency that pops up at the last minute! Today, we'll share some fun & fast projects which can be made in a jiffy, plus a few of our favorite Knitter's Pride products which are certain to be at the top of YOUR wish list this year! We also have one last giveaway this year for our fabulous blog readers & the winners of our Mother Bear Project Kit giveaway to announce - read on for more details! These projects can be whipped up in no time flat and are all available for free via the Ravelry links below! L-R: Knitted Pocket Gnome by Jenni Propst, Rikke Hat by Sarah Young, and Non-Felted Slippers by Yuko Nakamura. 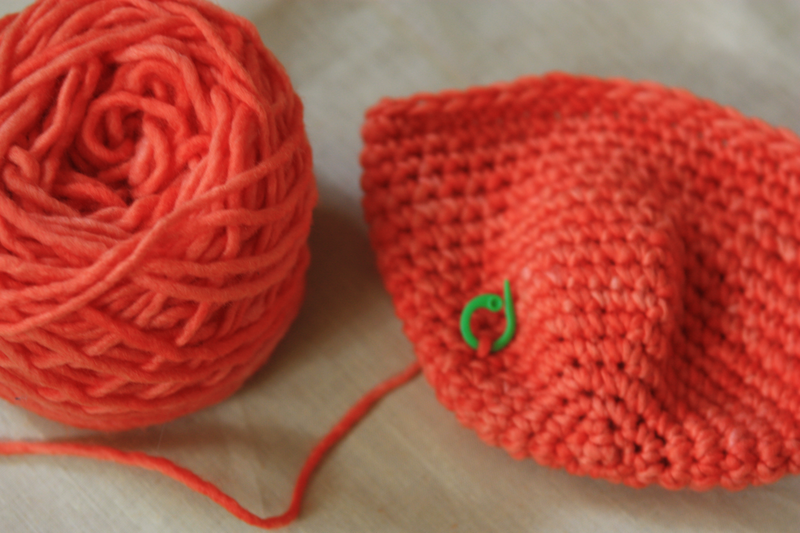 These popular crochet projects are all quick to make and available for free on Ravelry, too! L-R: Mug Hug and Rug by Marinke Slump (top left), 15 Min Coffee Sleeve by Jonna Venture (bottom left), GAP-tastic Cowl by Jen Geigley, and Polar Bear Hat by Sarah Zimmerman. 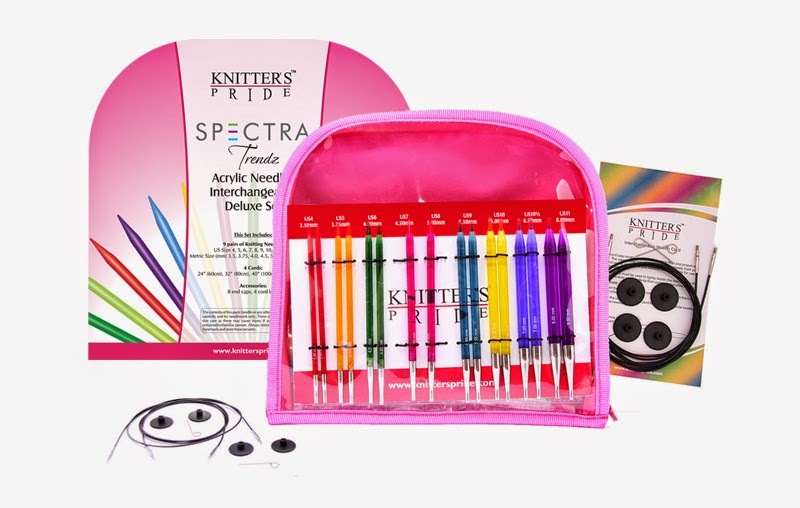 Our Interchangeable Knitting Needle Sets and Crochet Hook Sets are always the perfect gift for discerning stitchers. This year, we are pleased to offer the Limited-Edition MarblZ Gift set for the holiday season which includes 9 pairs of needle tips in sizes 4, 5, 6, 7, 8, 9, 10, 10.5, 11; 4 cords; 8 end caps; and 4 cord keys. The set also includes a pen made from our special Symfonie Wood, a set of cord connectors, and a Knitter's Pride needle gauge! Our new Knit Blockers are the "it" item of the season! 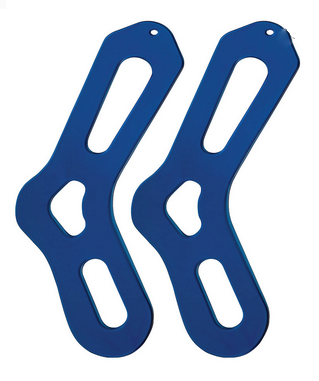 This time-saving tool will make blocking your next project a breeze; they are especially suited for projects with long, straight edges, allowing you to apply consistent tension throughout. Our fashionable storage solutions will delight knitters and crocheters who are looking to get organized in the new year! 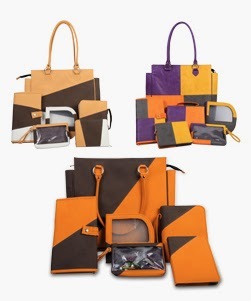 Choose from several styles of needle and hook cases in three stylish color options, each with a coordinating tote bag. 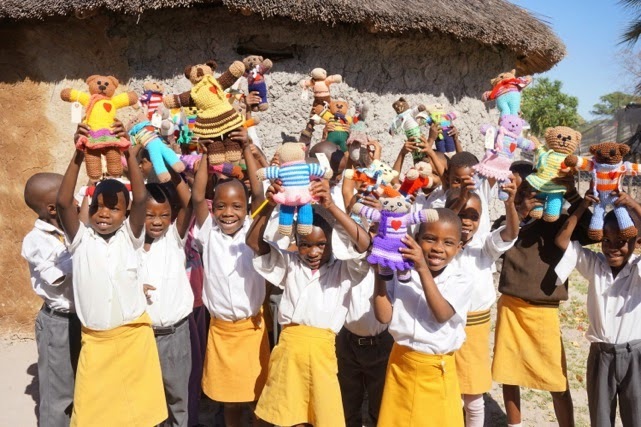 Congratulations to littlemomto2 and NanaMamah, you have each won a project kit generously donated by the folks at the Mother Bear Project! 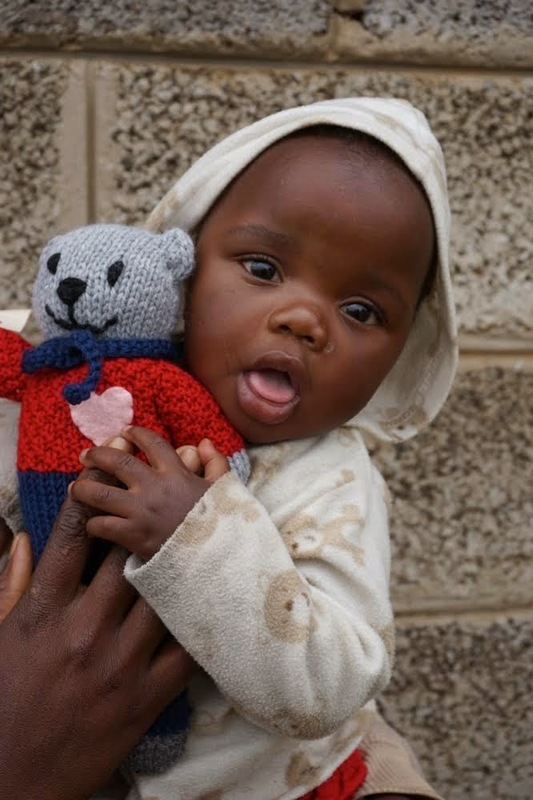 Click here to learn more about this wonderful charity on our last blog post. We will contact the winners to arrange for the delivery of their prizes; thanks to everyone who entered this giveaway! This month, we're giving away a Deluxe Karbonz Interchangeable Set to one lucky blog reader! To enter, simply leave a comment on this post telling us which Knitter's Pride product is at the top of your wish list this year! Be sure to also include your Ravelry ID or email address so that we can contact you if you win. We'll randomly select a winner to announce on our next blog post on December 30, 2014. Good luck! 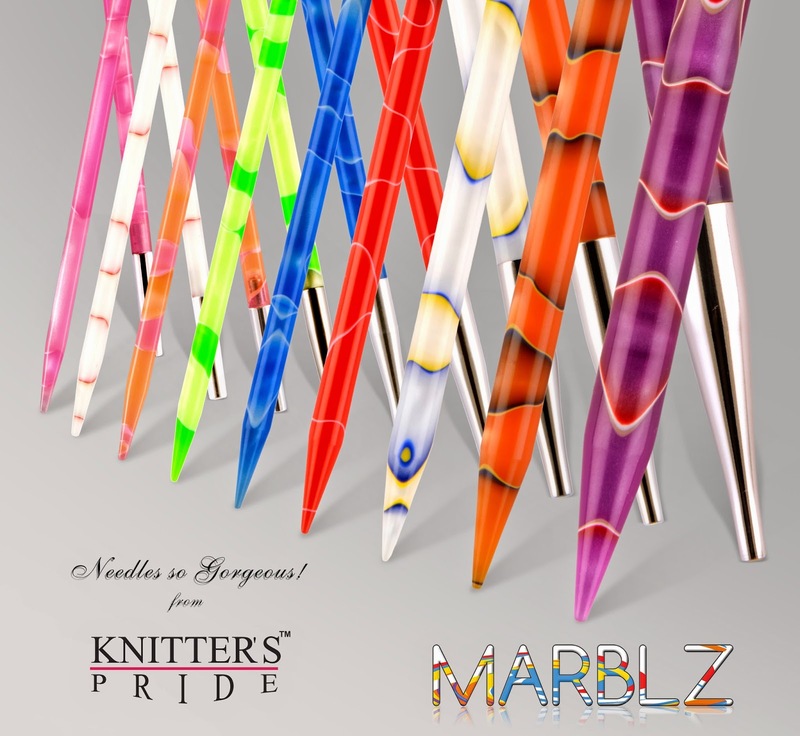 We're excited to introduce our new line of knitting needles, Knitter's Pride MarblZ! 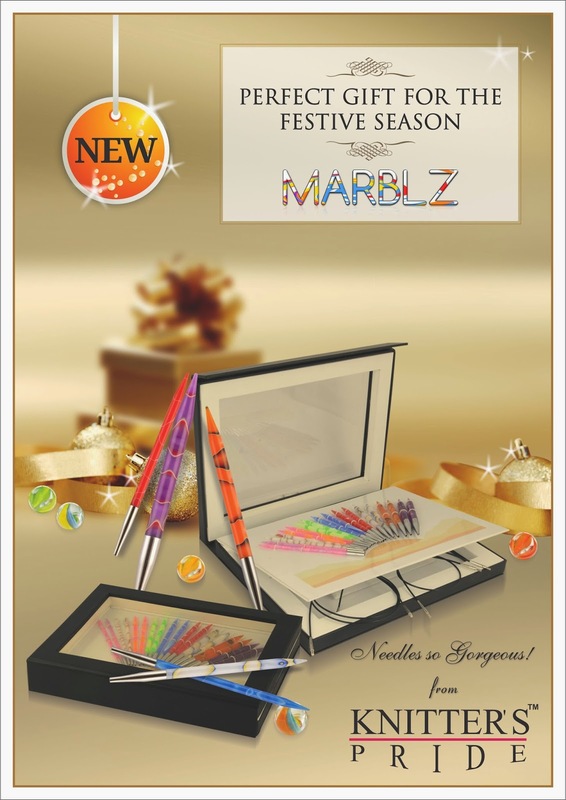 These unique new needles are available in a range of eye catching colors which are hand-crafted and specially developed so that each needle has its own unique marbled design. I am in love with your Marblz needles! Knitting with them is wonderful, and when I knit in the sun, the light goes through them - it's almost magical! MarblZ are available as double pointed, fixed circular, interchangeable circular, and single pointed needles. We also have a special Limited-Edition MarblZ Gift set for the holiday season that includes 9 pairs of needle tips in sizes 4, 5, 6, 7, 8, 9, 10, 10.5, 11; 4 cords; 8 end caps; and 4 cord keys. The set also includes a pen made from our special Symfonie Wood, a set of cord connecters, and a Knitter's Pride needle gauge! Congratulations to Ben Beauvais, you're our lucky winner! 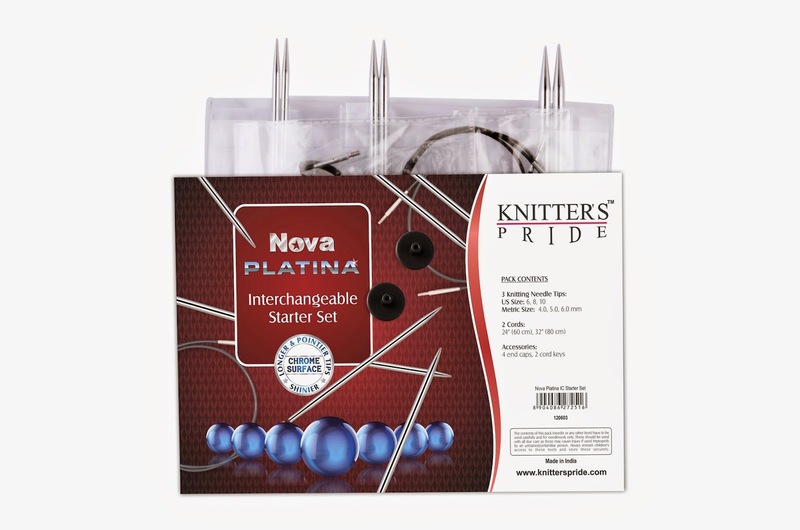 We'll be in touch to arrange delivery of your Knitter's Pride Nova Platina Starter Set. Thanks to everyone who participated! We're sure you've heard, read, and been told many times and from many places the importance of swatching. 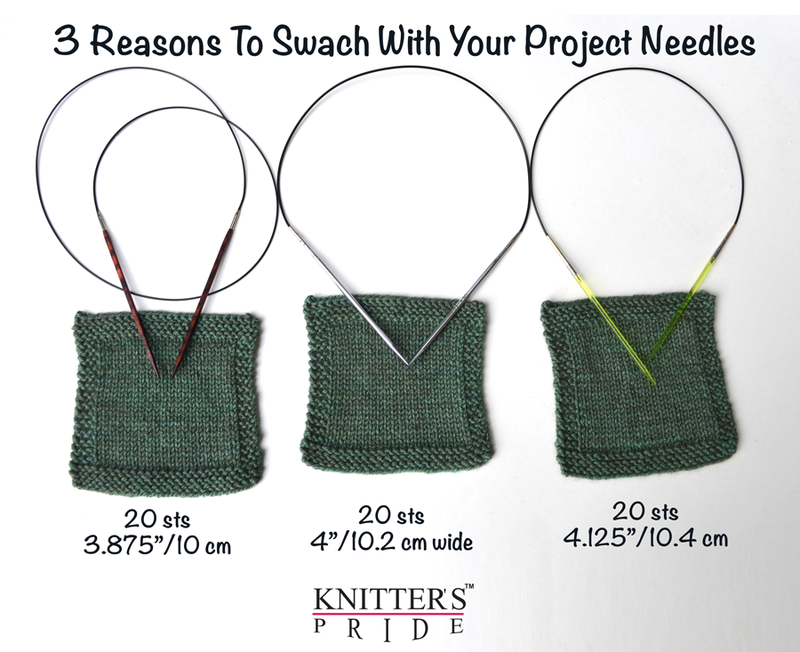 It also matters which needles you swatch with! In our experiment we knit three swatches all using the soft and silky Fibre Company Canopy Worsted. We used three different needle materials, all size US 6 (4mm). from left to right they are Symfonie Cubics, Nova Platinas, and Trendz. The center square in stockinette stitch on all three swatches are 20 stitches wide and 27 rows long. All the squares measure 3.75" long after blocking, but the width of the swatches varies slightly. The difference might seem insignificant, but if you're talking about a sweater with 200 stitches, at the first gauge on the Symfonie Cubics that would measure 38.75", with the Nova Platinas the garment would measure 40", and with Trendz it would measure 41.25". So depending on which needles you use, with the same exact number of stitches, you could get anywhere from 38.75" to 41.25", a difference of 2.5"! When choosing which needle is best it's also important to consider your personal style of knitting, preferences, and the yarn. Canopy Worsted is a soft blend of of 50% baby alpaca, 30% merino wool, and 20% bamboo. Both baby alpaca and bamboo are very soft with lots of drape, making this wool a little bit slicker than a more rustic wool yarn. 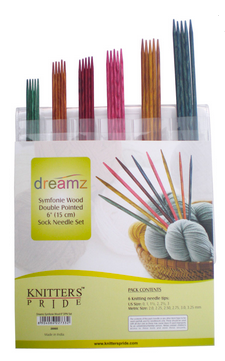 It's a 3-ply yarn, making it round and durable, and doesn't split, making it easier to knit with blunt needles. Symfonie Cubics, Nova Platinas, and Trendz are all appropriate for working with this yarn. 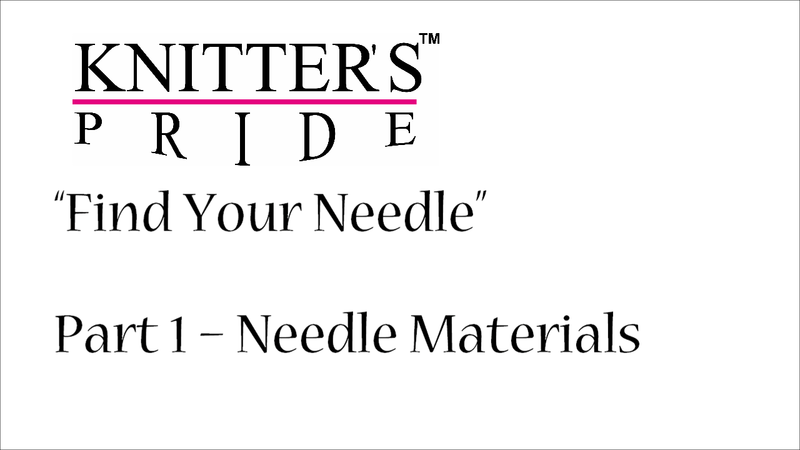 You can learn more about finding your perfect needle with our new series of videos from Staci Perry. 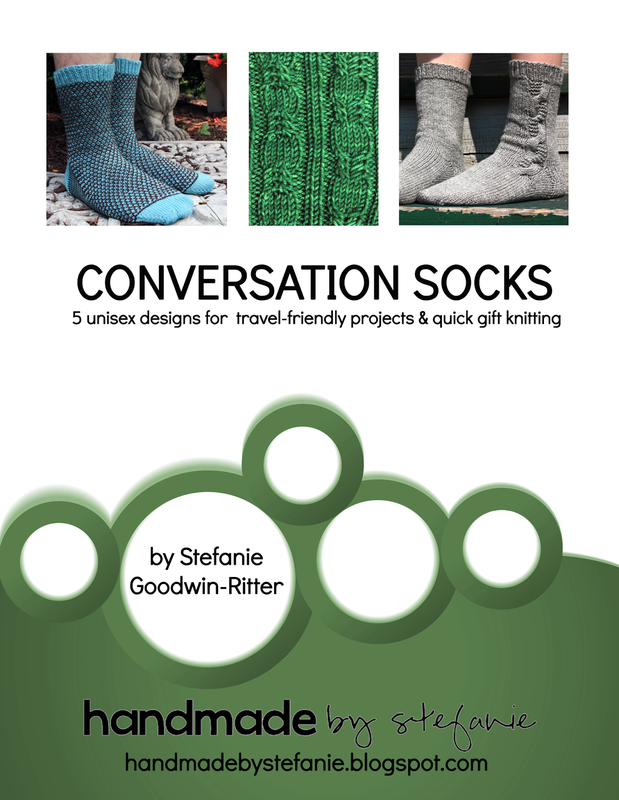 We continue the Conversation Socks Knit-A-Long as part of Socktober! Learn more in this blog post and join the KAL on Ravelry. This month we're giving away a Nova Platina Starter Set! To enter, leave a comment on this post telling us whether or not you swatch when starting a new project, and leave us your Ravelry ID or another way to contact you. We'll choose one lucky winner October 31st! 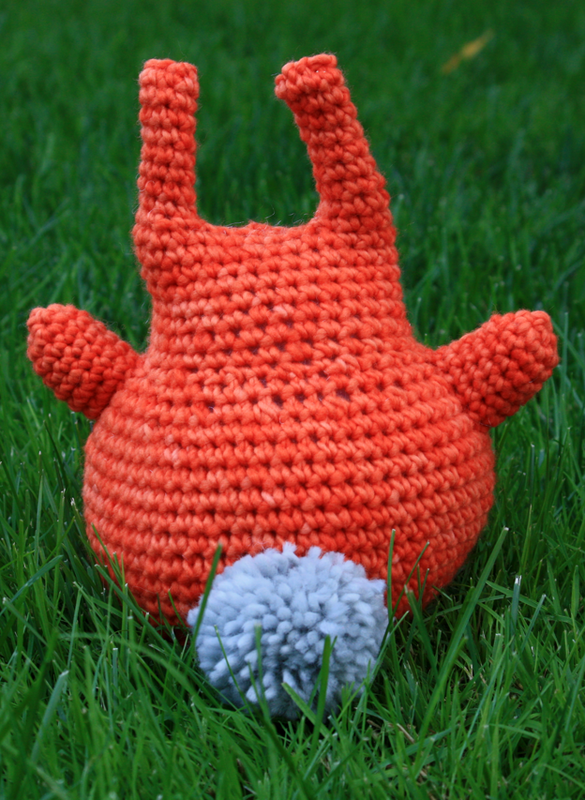 Free Pattern: Crochet Button Bunny + Winner! Today we have a free crochet pattern from Handmade by Stefanie, a Chicago-based blogger who knits, spins and crochets compulsively in her free time. 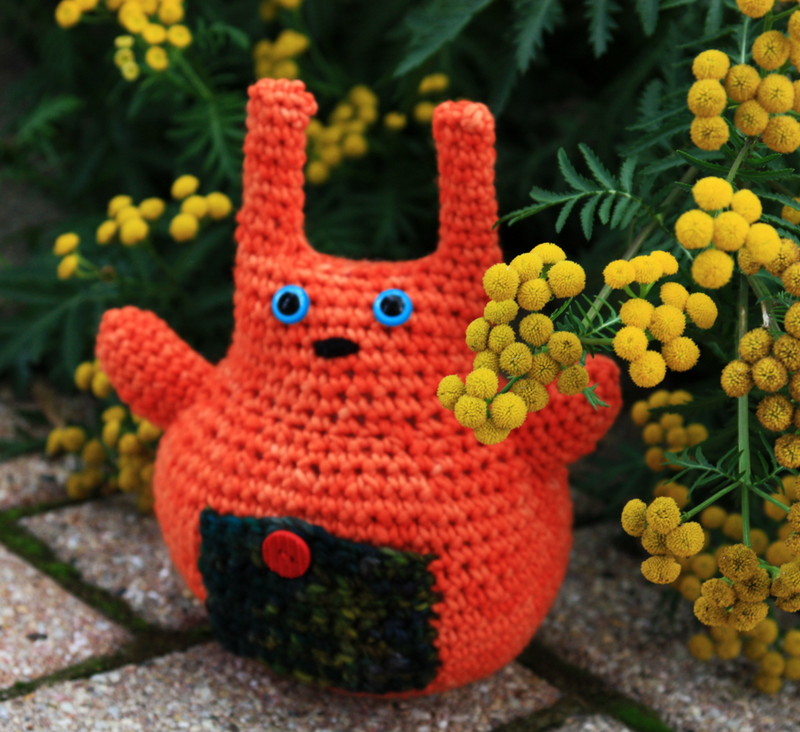 She originally designed the Button Bunnies as a knitted toy pattern to celebrate the debut of a friend's hand-dyed yarn company, and has always wanted to convert the pattern to crochet for her fellow amigurumi enthusiasts. For a complete list of abbreviations used in this pattern, click here. Notes: The body, head and ears are all worked continuously onto one piece. Starting with magic loop, ch 2. SC 6 sts in second stitch from hook. 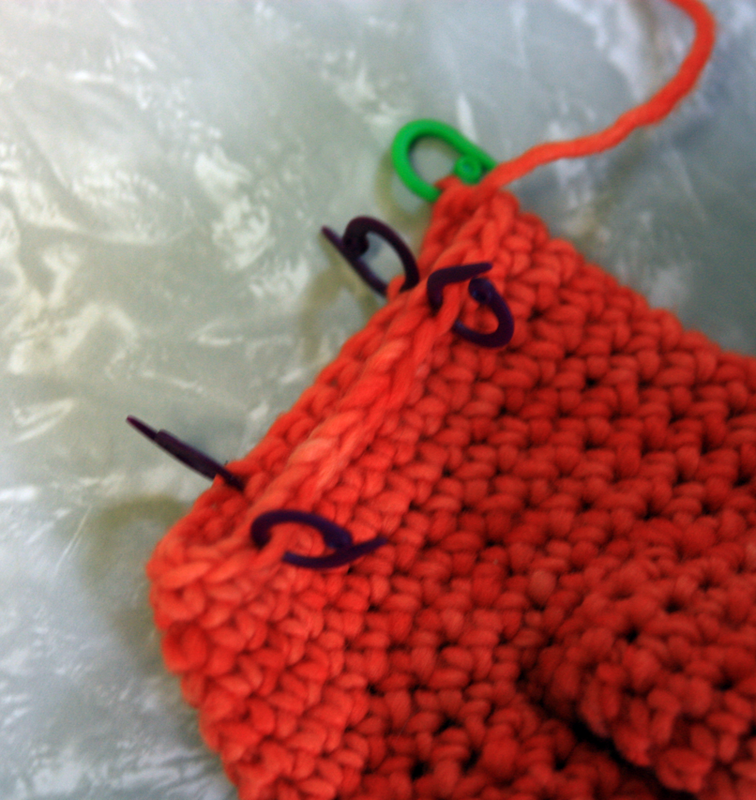 Click here for a free magic loop tutorial from FreshStitches (if you're a knitter, it's not what you think)! Rnd 1: *SC twice in 1 st, repeat from * 5 more times - 12 sts. Rnd 2: *SC twice in 1 st, repeat from * 11 more times - 24 sts. Rnd 3: *SC twice in 1 st, SC in 1 st, repeat from * 11 more times - 36 sts. Rnd 4: *SC twice in 1 st, SC in next 2 sts, repeat from * 11 more times - 48 sts. Rnd 5: SC in all sts - 48 sts. Rnd 6: *SC twice in 1 st, SC in next 3 sts, repeat from * 11 more times - 60 sts. Rnd 1 (decr): *SC2tog, SC in next 2 sts, repeat from * 14 more times - 45 sts. Rnd 2: SC in all sts - 45 sts. Rnd 3 (decr): *SC2tog, SC in 1 st, rep from * 14 more times - 30 sts. SC all rnds for 2 inches. I recommend placing a removable stitch marker in the same manner as before to make measuring easier. Remove hook, but don’t fasten off. 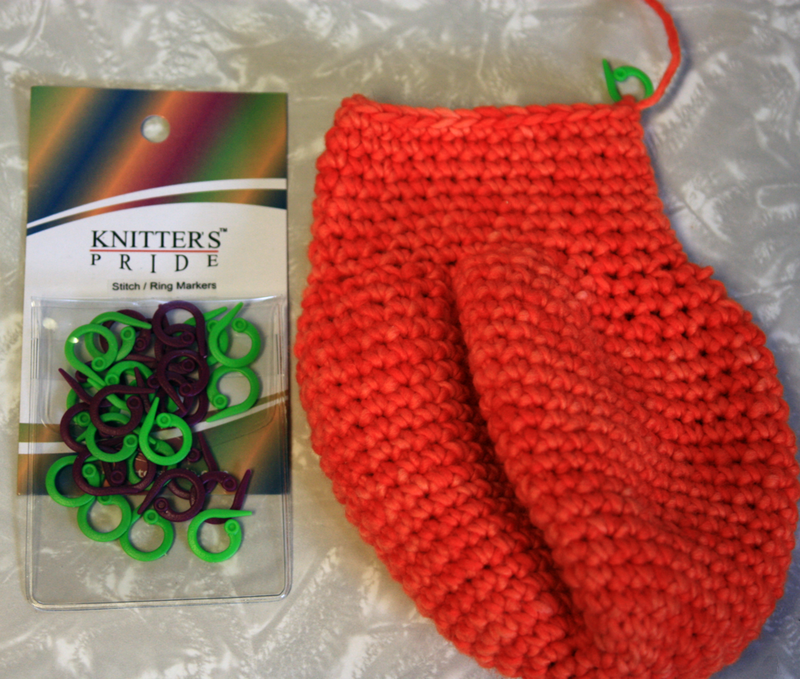 You will be placing removable stitch markers to use as guides for crocheting the ears. You will be crocheting both ears onto the top of the head by working the first and last 3 sts of the round for 2 inches in single crochet to make the first ear, then breaking the yarn and reattaching it at Stitch 13 (where you placed a marker) and working these stitches (13-28) in the round for 2 inches as well. Break yarn. Use tail to sew the tops of each ear closed. Starting with magic loop, ch 2. SC 6 sts in second stitch from hook. Rnd 1: SC twice in each stitch - 12 sts. SC in all sts for 5 more rnds. Break yarn and fasten off. 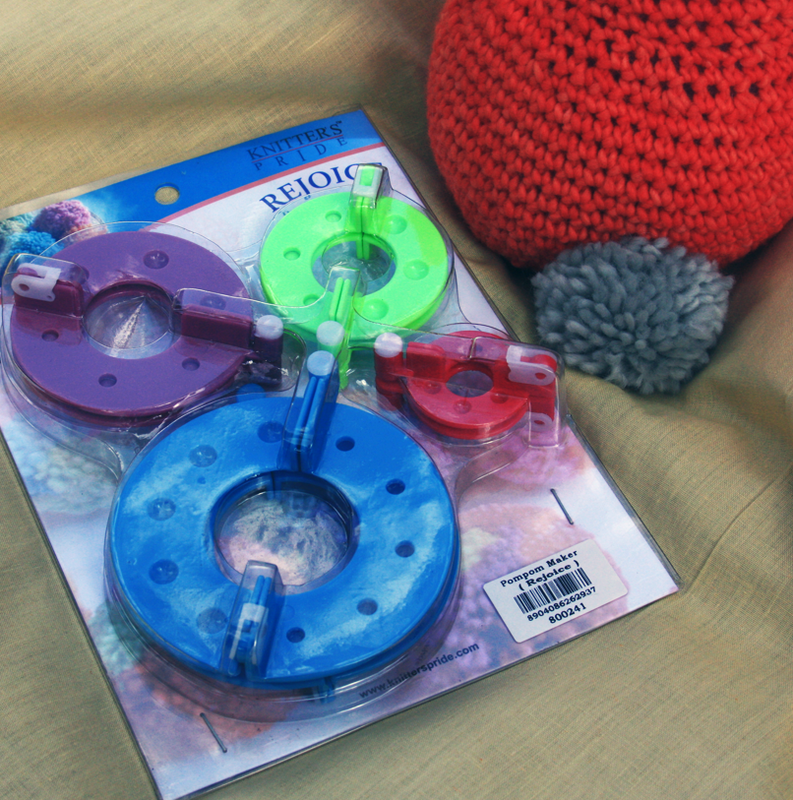 Make tail using CC1 with the 5.5cm Rejoice Pom Pom Maker - click here for easy instructions on the Knitter's Pride blog. First row: beginning in second st from hook, SC 10 sts, ch 1. Work 6 more rows SC in all sts. Buttonhole row: SC in first 4 sts, ch 2 and skip the next 2 sts, SC in last 4 sts. Continue working in SC for 1 more row. Break yarn and fasten off. Stuff body. Weave in ends. Install safety eyes, then lightly stuff ears and arms. Sew top of head together. Pin arms to side of body and sew on when you are satisfied with their placement. 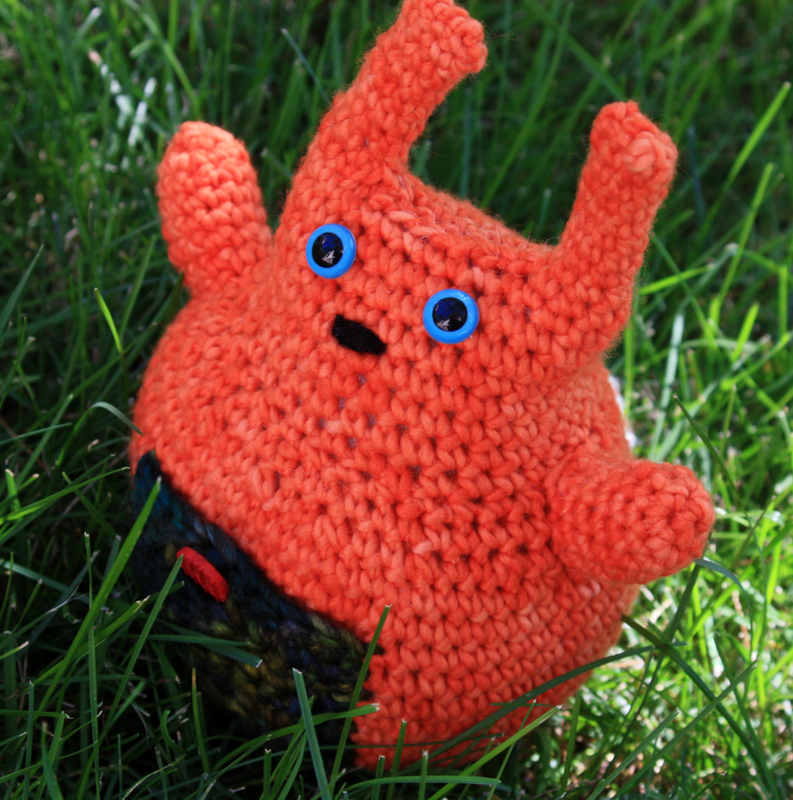 If you need help attaching your bunny's arms, click here for a free tutorial on attaching limbs to amigurumi from FreshStitches. Pin tail to bottom center of bunny back and sew on when you are satisfied with its placement. Using black yarn, embroider a nose on the bunny’s face. Pin pocket to front of bunny and sew on; sew on button to close pocket. Congratulations to apeeling, you are the lucky winner of a Waves Crochet Set! We'll be in touch via Ravelry to arrange for the delivery of your prize. Thanks to everyone who participated this month!